The creation of a global network of King Sejong Institutes was initiated by South Korea’s government in 2005. The main goal of this initiative is to create Korean language and culture hubs that provide opportunity to anyone curious about Korea to learn more about this country. KSI Kaunas joined the network in 2018 becoming the fourth in the Baltic states. The Institute is seeking to promote Korean language and culture in Kaunas and whole Lithuania by providing Korean language courses, organizing Korea related events and becoming a meeting place for all Korea enthusiasts. Follow KSI Kaunas activities on our Facebook page! KSI Kaunas is based in one of the main buildings of Vytautas Magnus University at V. Putvinskio str. 23, Kaunas (see location on Google Maps), room 308. 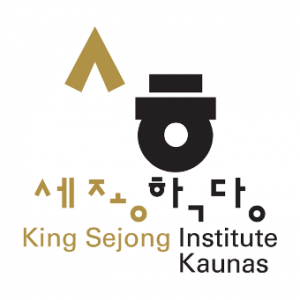 King Sejong Institute in Kaunas was established in August, 2018 after months-lasting preparations coordinated by the Centre for Asian Studies staff. The core of the team was comprised of CAS Senior Coordinator dr. Linas Didvalis, Head of CAS dr. Aurelijus Zykas, visiting Korea Foundation professor dr. Yuree Kim, Korean language lecturers Erika Griučkaitytė and Eglė Petrauskaitė. Overall, the history of Korean studies at VMU starts from 2007 when Korean language courses were offered to the students. This marked a successful beginning which developed into integration of Korea related courses into the study programs, organization of international academic conferences and summer schools, publication of books and articles, and gathering an ever growing team of Korea specialists. December 20: closing of the semester and graduation ceremony for Korean language students.